Until now we didn’t know much about the Sony Xperia XZ4’s camera, other than rumors that it might have three rear lenses, but now we have an idea about the specs of those lenses, one of which could be 52MP. That theory comes from an image posted on Reddit and spotted by Sumahoinfo, which shows a triple-lens camera setup supposedly on the back of the Xperia XZ4, and lists the middle lens as being 52MP with an f/1.6 aperture. This is said to be the main lens, and that aperture should mean it can take in a lot of light, likely making it good in low light situations. There’s also a 16MP f/2.6 telephoto lens listed, along with a 0.3MP ToF (Time of Flight) lens. That ToF lens would likely be used for depth sensing, which should be handy for bokeh effects (the out of focus backgrounds some cameras allow for to emphasize the foreground) as well as augmented reality. We’d take this image with the required pinch of salt, especially as so little else is known about the Sony Xperia XZ4’s camera so far, but it’s not an unbelievable setup. Many brands are now offering triple-lens cameras and some phones are moving to higher megapixel counts, with the Honor View 20 for example having a 48MP camera. 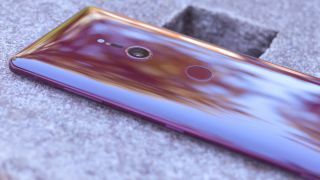 We may not have long to wait to learn the truth about the XZ4’s cameras, along with everything else about it, as Sony is holding a press conference on February 25 at MWC 2019 and we wouldn’t be surprised if the Xperia XZ4 is featured.